As the world welcomes the arrival of the Duke and Duchess of Cambridge’s third child, Fofolino is proud to introduce its all-new Royal Range of muslin squares. The collection of three luxury baby muslins celebrates the Palace’s latest addition and welcomes new parents akin to the Cambridge’s to wrap their new arrival in an exquisite personalised muslin adorned with bespoke embroidery. 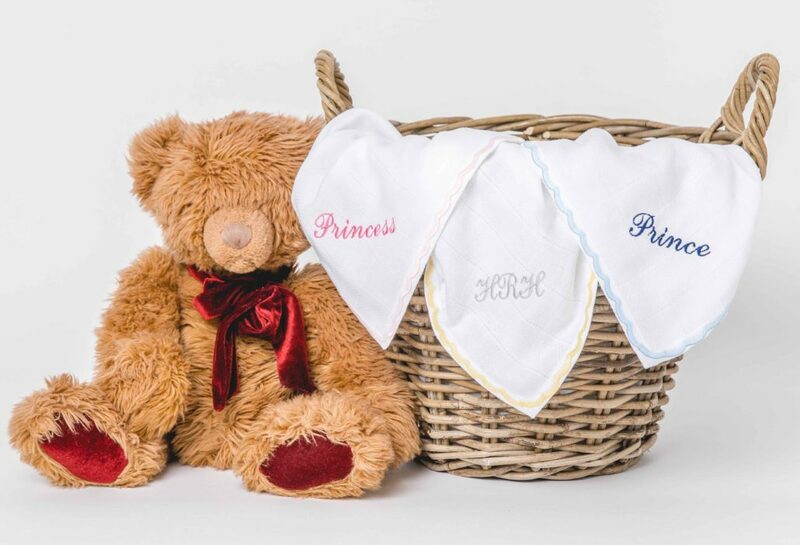 The makers of luxury muslin squares, Fofolino has unveiled three all-new muslins for Princes, Princesses and new arrivals whose gender is yet to be revealed. Each muslin is made from the finest double-weave, 100% cotton and is available in three timeless and elegant colour ways to perfectly complement the nursery of Kensington Palace and home nurseries alike. The Fofolino Royal Range follows in the footsteps of the much-loved signature collections, which have fast become a must-have changing bag companion for the InstaMum and Royal Family follower alike. Fofolino baby muslins are made from the finest double-weave, 100% white cotton making them ever-so cuddly and soft while hard wearing and durable enough to withstands the spills and thrills of motherhood. The exceptional quality ensures they are guaranteed to last long after young children outgrow them. Aside from the classic use as a spill cloth, Fofolino’s are an ideal nursing cover, swaddle cloth, light blanket, comfort blanket or playtime ground cover to name but a few of their many uses. 5 minutes with MagnetMouse and her amazing fastening-free baby wear! 5 Minutes with Tara Waiyasil and her two little model sons!